Fennel is a yellowish green, biennial or perennial herb commonly cultivated throughout India. It has been used for flavouring from ancient times. The whole plant is aromatic. An analysis of fennel shows it to consist of moisture 6.3 per cent, protein 9.5 per cent, fat 10 per cent, minerals 13.4 per cent, fibre 18.5 per cent and carbohydrates 42.3 per cent. mineral and vitamin contents are calcium, phosphorus, iron, sodium, potassium, thiamine, riboflavin, niacin and vitamin C. calorific value is 370. The leaves of fennel are digestive, appetizing and stimulating. They increase the secretion and discharge of urine. The seeds are sweet, laxative, aphrodisiac and arrest bleeding, They also relieve flatulence and promote the removal of catarrhal matter and phlegm from the bronchial tubes. Oil of fennel, distilled from the dry seeds is aromatic, carminative and antispasmodic. I t is used in various carminative preparations. The use of fennel is well known as a digetive aid. 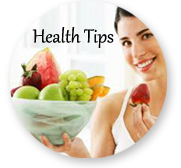 [t may re given in small quantities to help young children digest carbohydrates. An infusion prepared by boiling a tablespoon of fennel seeds in 100 ml of water for half an hour, is highly, beneficial in indigestion, biliousness, flatulence, constipation and atonic dyspepsia. Chewing its seeds after meals prevent foul breath, indigestion, constipation and vomiting. Fennel is one of the safest herbs for colic, for helping the baby to release gas and relieve tummy. It may be used in combination with other herbs like peppermint and crushed caraway seeds or alone. A teaspoon of the herbs is boiled in a cup of water, and allowed to steep in the water for about 20 minutes. This is strained and allowed to cool. This tea, given to the baby in his feed bottle, helps cure colic. Not more than a teaspoon or two should be given at a time. Leaves of fennel are useful in respiratory disorders like asthma and bronchitis. The juice may be given in the treatment of such conditions. Eating fennel seeds with figs is also a good medicine for cough, bronchitis and lung abscesses. Fennel seeds promote menstruation and regulate monthly periods. 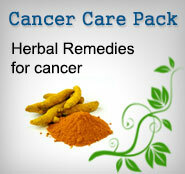 An infusion of the seeds can be given in painful menstruation and other menstrual irregularities. It is believed that fennel benefits the eyes. Herbalists today recommend bathing the weakened, sore or inflamed eyes with fennel tea. Regular application of the leaf-juice boiled with honey, is said to cure conjuctivitis.